I want mine to be a gift to my family similar to the gift my mother gave to me: the gift of time, the gift of honesty, the gift of purpose. My mother was a remarkable woman. She had confronted six different types of cancers and had survived. In the end it was emphysema that took her life. She had lived with the possibility of dying for more than thirty years. This gave us plenty of time to talk about what type of living she wanted at the end of her life. I knew in no uncertain terms that she wanted to die with dignity. I knew she wanted us to be with her when the end was near. In the last few weeks of her life l was at her bedside sharing stories, reading to her and just being present. It was a time of serenity and pure joy sharing such private and intimate moments. As she drifted in and out of consciousness she would open one eye and look at me and smile. In one of her last lucid moments she said to me make sure you help others die as graciously and with such compassion as I am – that is your challenge. And with a smile on her face she fell back to sleep. "I knew she wanted us to be with her when the end was near." 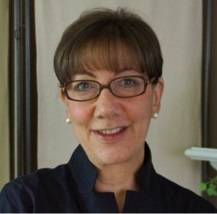 Harriet Warshaw brings to TCP over thirty-five years of management experience in both the public and private sectors including senior positions at The Boston Hospital for Women, New England Baptist Hospital, Genzyme Corporation and the New England Healthcare Institute. She is the former Executive Director of TCP, and now serves as Faculty. In addition, she has held elected office in the Town of Wellesley, MA including 10 years on the Wellesley Board of Health and 9 years as a member of the Wellesley Board of Selectmen. She has served on numerous commissions and boards including chairing Combine Jewish Philanthropies’ Commission on Caring and Social Justice and as President of Temple Beth Elohim, Wellesley, MA Board of Trustees.